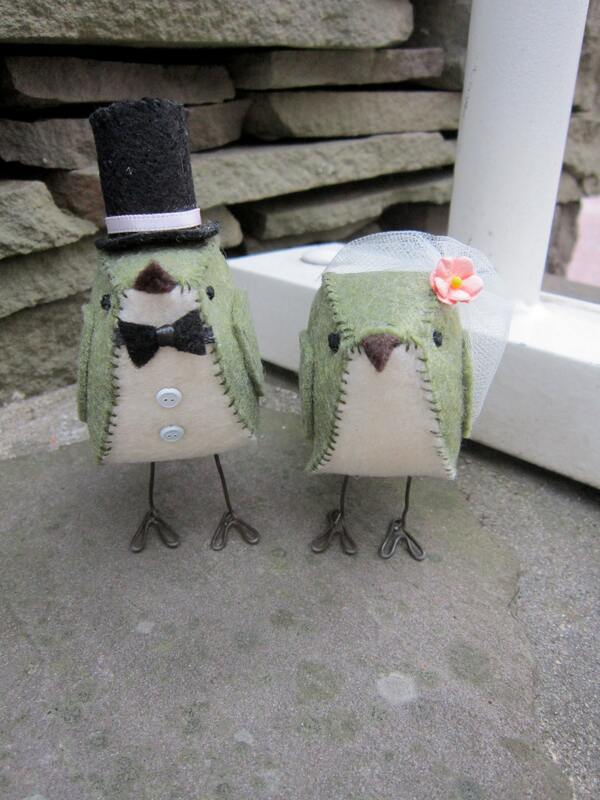 Visit CinnamonBirds for more unique cake toppers and custom orders. Aww, those are absolutely adorable! What a fun idea! Oh goodness, they are so cute! I love the colour too - you can't go wrong with pea green! LOVE! We've been looking for unique toppers like this for our upcoming wedding. Thanks for sharing! Behind the Scenes: Hello South Carolina!